Dizzy, vomiting and struggling to breathe, 11 Iraqi police officers were rushed to a government hospital 50 miles north of the capital last month. The diagnosis: poisoning by chlorine gas. The perpetrators, according to the officers: Islamic State extremists. The chlorine attack appears to be the first confirmed use of chemical weapons by the Islamic State on the battlefield. An Iraqi Defense Ministry official corroborated it, and doctors said survivors’ symptoms were consistent with chlorine poisoning. It is one of three crude chlorine attacks that Iraqi forces say have occurred since the extremists seized vast tracts of Iraqi territory this summer, although details on the other two incidents remain sketchy. 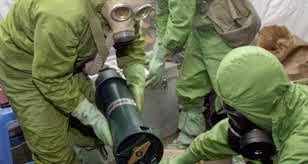 The reported assaults raise concerns that the militants are attempting to hone their chemical weapons capabilities as they push to seize more ground. The presence of a large former Iraqi chemical weapons production plant in territory seized by the Islamic State has compounded those fears, though officials and chemical weapons experts say the 2,500 degraded rockets filled with nerve agents that remain there are unlikely to be fit for use. Weapons inspectors sealed them off with concrete in a bunker more than 20 years ago. The Islamic State’s reported chlorine attacks appear to have been largely ineffectual. The attack on the police officers last month is the only one officially documented. 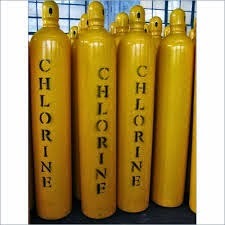 Chlorine, a common component in industry, is sold legally, but its use as a weapon violates the Chemical Weapons Convention. It was widely employed in trench warfare during World War I, including infamously at Ypres in Belgium, where German forces dispersed more than 160 tons of chlorine into the breeze, killing thousands of French and Allied soldiers. The Organization for the Prohibition of Chemical Weapons said last month that chlorine gas has been used “systematically” as a weapon in villages in northern Syria. The U.S. government has blamed those attacks on the Syrian government. But it has been years since the chemical has been used in fighting in Iraq. It was 4:20 p.m. on Sept. 15 when the 11 police officers were rushed into the hospital emergency room in Balad. Some struggled to stand; tears streamed from their eyes. The men had been brought in from the front lines of the nearby town of Duluiyah. Tucked into a bend of the Tigris River, the town had been under heavy assault for days, according to the accounts of three survivors. Islamic State fighters had taken territory to the north, cutting the only direct land access to the river town, and had blown up the last bridge into the town. The police officers, all members of the Sunni Jabbour tribe, which has turned against the Islamic State, were guarding a line in the town’s north. After an exchange of fire, they said, they were surprised to see Islamic State fighters retreating from their position about 150 yards away. Suddenly there was a boom in the area the extremists had just vacated, said Lt. Khairalla al-Jabbouri, 31, one of the survivors. “It was a strange explosion. We saw a yellow smoke in the sky,” he said. The wind carried the fog toward their lines. The men say it hung close to the ground, consistent with the properties of chlorine gas, which is heavier than air. Another officer, Ammer Jassim Mohammed, 31, who suffers from asthma, said he passed out within minutes. The men were taken to a small clinic in Duluiyah, before being transferred by boat to the larger hospital in Balad, where they were treated with oxygen and hydrocortisone, an anti-inflammatory medication, until the symptoms began to subside. They were all discharged the following morning. The four physicians who treated them said there was no question that chlorine gas was to blame. One physician on the team, Hassanain Mohammed, had treated similar cases before. In 2006 and 2007, al-Qaeda in Iraq, a group that later morphed into the Islamic State, carried out a string of chlorine bombings in the country. Mohammed was on duty at a Baghdad hospital one day during that period when dozens of victims were brought in after a bombing in Taji district, just north of the capital, in which insurgents had packed a truck with explosives and two one-ton chlorine tanks. There have been no confirmed accounts of the use of chlorine gas as a weapon in Iraq for several years. An Iraqi Defense Ministry official confirmed this week that a bomb rigged with chlorine canisters was used in the Duluiyah attack. In a statement, the Defense Ministry confirmed that the Islamic State has used the gas in a “primitive and ineffective way” near water treatment plants where it has gained access to chlorine, as well as in roadside bomb attacks. It did not specify the locations of the attacks, but there are several water plants near Duluiyah on territory controlled by the Islamic State. The extremist group aims to dent “the morale of the Iraqi people in general and our armed forces in particular,” the statement said. It said that soldiers should be provided with gas masks as a precaution and that volunteers and civilians should place a dampened cloth over the nose and mouth to protect themselves during any attacks. The defense official said he did not have details of any incidents other than the Sept. 15 attack, while a U.S. official said he had no reports of the use of chlorine by the Islamic State. “We aren’t aware of any chlorine attacks against the [Iraqi security forces] but would refer you to the Iraqi government to see what they might have,” said Army Maj. Curtis Kellogg, a spokesman for Florida-based U.S. Central Command, which is responsible for U.S. security interests in the Middle East. Chlorine bombs are an easy-to-create but inexact weapon, experts say. All that is needed is a small explosive charge to rupture containers filled with the substance. Fighters in Duluiyah say it was not the only time chlorine has been used against them. Another attack this month caused minor injuries, and the fighters were treated locally, police officials said. Immediately after the September attack, the Balad hospital put in orders for thousands of doses of atropine, used to treat nerve-gas exposure, Hatim said. A thousand have been shipped across the river to Duluiyah. Soldiers who escaped an Islamic State rout of a besieged army base in Saqlawiyah, where hundreds of soldiers were killed last month, also said chlorine gas was used there — though reports of where and how the gas was delivered varied and could not be confirmed. While some officers said they believed artillery- or mortar-launched canisters fired by the attackers fell short of the base, others, who claimed to have remained in the installation for a longer period, said they fell within its perimeter. Another claimed that the militants detonated chlorine-filled containers. Ammar Toma, a member of parliament’s defense and security committee, said it had received photographs from officers of the projectiles used in the Saqlawiyah area. “We aren’t sure chlorine was used,” he said. “But we believe it was either chlorine or another chemical.